The Trillion Collection was inspired by a spiritual journey that explored the inner strengths of femininity. 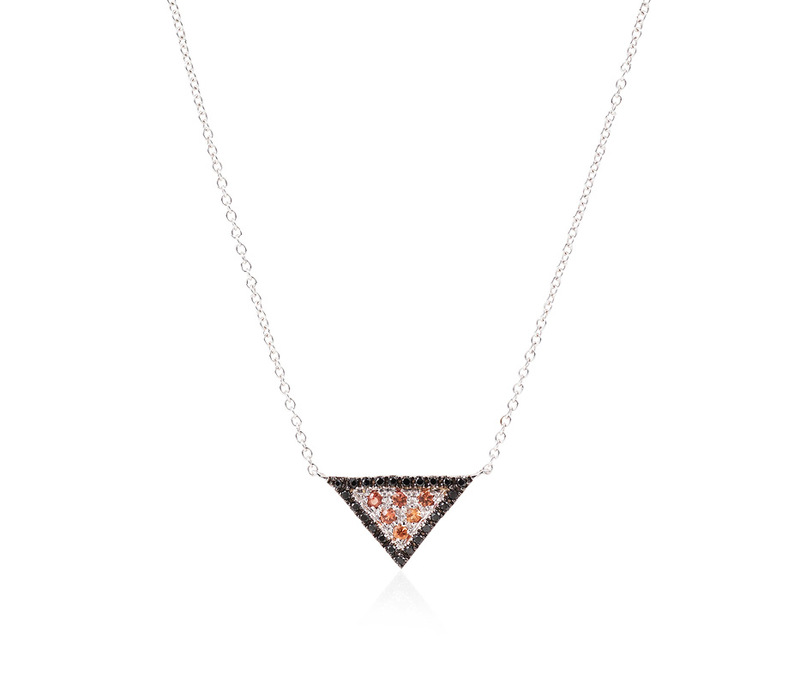 The triangle is a powerful female symbol that signifies a harmony between body, mind and spirit, and is celebrated in this dazzling collection. Designed in the UK and lovingly handmade by the best craftsmen in Italy, the Collection features two ranges: Black Trillion, and Rose Gold Trillion. The Black Trillion Collection features 18 carat white gold, black and white diamonds and fiery orange sapphires. Our Rose Gold Trillion Collection features 18 carat rose gold, champagne and white diamonds.